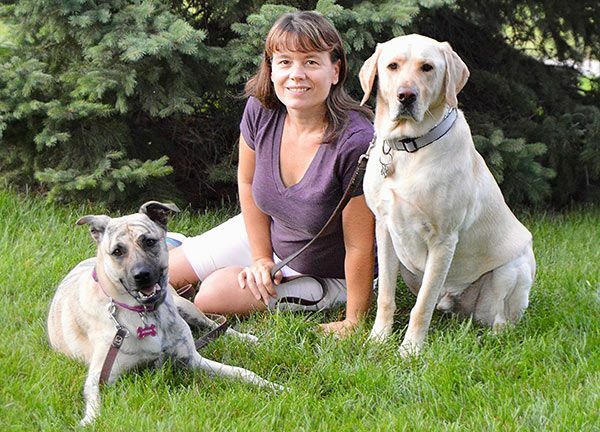 WAUNAKEE, Wis. - April 3, 2018 - PRLog -- Debi McKee, foster dog mom, and creator of Rescue Dogs 101, was recently announced as a finalist in two award categories (Best New Dog Blog and Best Dog Blog) for the 2018 BlogPaws Nose-to-Nose Awards. The BlogPaws Nose-to-Nose Awards is the only pet industry awards in which pet bloggers and social media influencers are judged on expertise, performance, and creativity. Each of the 52 finalists in 13 categories is judged by a panel of professionals and not by popular vote. Winners will be announced April 20, 2018 at the award ceremony in Kansas City, Kansas. Debi McKee is available for commentary about the awards. Debi's entire family is passionate about dogs. Ginger and Bear are their family dogs. The family has also been passionate about fostering and helping dogs in need. They have volunteered and served as fosters for Fetch WI Rescue since 2014. McKee realized a trend of people surrendering dogs for problems that could be addressed with education, which led to the creation of the blog Rescue Dogs 101 (https://www.rescuedogs101.com/). She hopes this resource will help people and their dog's to have a long, happy life together. "Whether we win or not, I am honored to be a finalist with the best pet bloggers in the industry. It's truly amazing and humbling when I think about how much of a difference just one person and a website can make in a dog's life." Debi says. Rescue Dogs 101 (https://www.rescuedogs101.com/), guides dog parents through every step of their dog journey. Ranging from finding the perfect dog, to bringing him home and raising him to become the dog of their dreams. The blog provides resources for when problems may pop up including training techniques, tools, and useful products to help keep their dog happy and healthy. This educational resource helps to reduce the volume of dogs being surrendered to shelters.